The Indiana Pacers come to Boston for the 3rd of 4 meetings between these two teams this season. The Pacers beat the Celtics 102-101 on November 3 in Indiana. 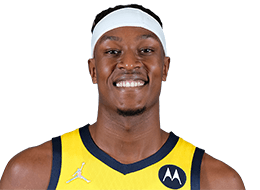 In that game, Victor Oladipo hit a 3 pointer to put the Pacers up one and then stole the inbounds pass from Gordon Hayward to seal their win. On January 9th, the Celtics beat the Pacers 135-108 in Boston. They will face each other one more time in exactly 1 week on April 5. This game means a lot more than just one of 82. The Pacers are 1 game ahead of the Celtics in the standings. Home court advantage in the first round of the playoffs is at stake. If the Celtics win, they will tie the Pacers and own the tie breaker to move up to 4th in the East. If the Pacers win, that puts the Celtics 2 behind the Pacers and gives Indiana a big advantage to keep the 4th spot. The Celtics are now 1 game behind Indiana, who have lost 5 of their last 6 and 9 straight on the road. They are 3.5 games behind 3rd place Philadelphia, who has lost their last 2 games. The Celtics are 5-5 in their last 10 games and 26-12 at home. The Pacers are 3-7 in their last 10 games and are 17-21 on the road. Both teams are close to full strength. The Celtics have been plagued with injuries lately but with Al Horford (knee) and Jayson Tatum (back) returning to the starting lineup on Wednesday and Robert Williams III listed as probable for this game, they are back to full strength. Gordon Hayward getting closer to 100% is also a big plus for the Celtics. 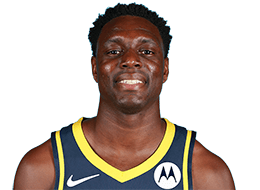 The only player out for the Pacers is Victor Oladipo (knee), who is out for the season. 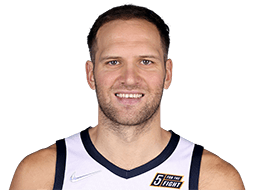 Bogdanovic is averaging 17.9points, 4.1 rebounds and 1.9 assists. He is shooting 49.8% from the field and 42.3% from beyond the arc and if not defended closely, he can put up big numbers. 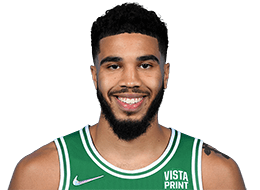 Tatum needs to stay with him both in the paint and on the perimeter. 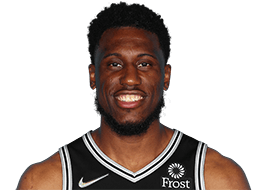 Turner is averaging 13.2 points, 7.0 rebounds 1.6 assists and 2.7 blocks. The Celtics always need to be aware of where he is when they go to the basket or he will swat their shots away. 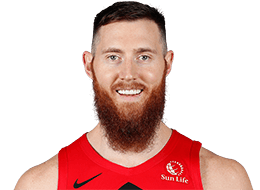 Baynes needs to box him out to keep him away from the rim. He also shoots 37% from beyond the arc and so the Celtics need to stay with him on the perimeter as well. Sabonis is averaging 14.1 points, 9.3 rebounds, and 2.8 assists. He is shooting 58.8% from the field and 53.3% from beyond the arc. In the last game against the Celtics he had 20 points and 5 assists. He can have a big game if the Celtics don't defend him well. Play Defense - Defense wins games. The Pacers average 107.7 points per game while the Celtics average 112.6 points per game. The Pacers have a defensive rating of 105.2, good for 3rd in the league while the Celtics have a defensive rating of 107.0, 5th in the league. The Celtics have let their defense slip in recent games, dropping to 25th in the last 5 games. Indiana is 28-2 when they score 110 or more points or more because their defense holds opponents to a league best 103.9 points per game. The Celtics had a practice on Thursday to stress defense and try to fix what has been going wrong recently so hopefully they will get back to playing the tough defense in this game that has made them so hard to beat in the past. Move the Ball Carefully - Both teams depend on ball movement for their offense. The Celtics need to move the ball and find the open man but they have to make careful passes and not get careless. The Pacers are 3rd in the league with 19.3 points off turnovers per game and so the Celtics must focus on making good passes and be aware of the Pacers ability to close out the passing lanes. If the Celtics get careless, the Pacers will make them pay. Play 48 Minutes - We see it in almost every game, the Celtics either start strong and get a big lead and then let up or start slow and then have to play catch up the rest of the game. They seem to let up for a time during almost every game and they can't afford to do that in this game. They have to play hard for 48 minutes. Start strong and play hard all the way to the final buzzer. Home Game - The Celtics are playing at home and they need to draw strength and motivation from the home crowd. The Pacers have struggled on the road recently, losing their last 9 road games. The crowd will hopefully throw the Pacers off a bit and give the Celtics an advantage in their building. Bench Play - The Pacers reserves have scored at least 53 points in their last 3 games. The Pacers are 12-2 when their bench scores 50 or more and so the Celtics reserves have to play tough defense along with keeping the offense going when the starters get a rest. 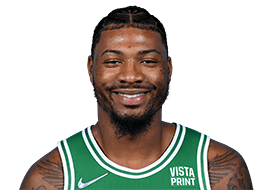 Big Game - Just as the Celtics always seem to play down to opponents, they also seem to play their best when there is a lot at stake in a game and there is definitely a lot at stake in this game. They beat the Sixers big on Christmas. They beat the Warriors out in Oakland by 33 points. They need to have a sense of urgency in this game and the Big Game Celtics need to come to play. Not only is home court advantage in the playoffs on the line, this is the team they will likely face in the first round and they don't want to give a mental edge or any momentum to them going into the playoffs. 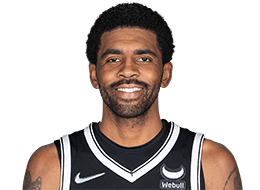 Most NBA players look like athletes to me, white, black, whatever. But not Bogdanovic. Looks like a middle school teacher. Can just picture him in jeans and white button up shirt with a tie. Tell me I'm wrong. TP to bdm860 for being the first to post in the game thread!!!! Will this be one of those games where the Celtics are up 20 and then blow the lead and lose? Go Celtics! It's almost the playoffs, baby!!! TPs for bdm860, FLCeltsFan,and SparzWizard! A preview to the first round. Pacers aren't to be taken lightly. I wonder how he looks in high heels. It should be telling. Playing your likely first round opponent makes it easier to focus on the present so there should be no excuses for crap defensive performances or playing hero ball. We'll see. Brad continues to ignore my suggestion to rest Morris and Rozier indefinitely in the interest of saving the team's season. Slaughterhouse. Full on wartime aggression going to the rim. Missed the Cavs game, so looking forward to seeing the new starting lineup. When the team is fully healthy (nearly so tonight), Baynes is not our best player but he's the most important. Horford has been a good soldier playing center, but I get the feeling he still prefers playing PF and Baynes in there allows him to do that. We failed almost every time we had a chance to move up to 4. I hope it will be different tonight. I want to see playoff atmosphere. Without Oladipo, this should be a blood bath. Probably going to go down to the wire lol. I feel the same way, but only in certain matchups. 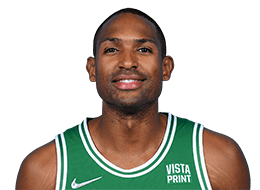 Horford isn't the same player he was, so I don't want him exerting way too much energy chasing around smaller and faster PF's. 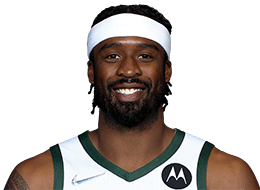 Baynes/Horford is a good combo big man to have against Pacers, Bucks, and 76ers. So which opponents' mediocre bench player will have a bust-out night? I'll go with Kyle O'Quinn.